This fall marks a special anniversary: 15 years ago this November, Tarisio held its first-ever auction of musical instruments. The first sale was a humble production: a laser-printed catalog, a temporary staff of two, rather rustic photography and a mostly homemade website. People thought we were crazy. 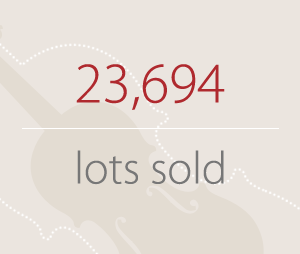 They said it wouldn’t work, that no one would buy a violin on the internet… But against all odds, and perhaps even to our own surprise, it worked. Tarisio is just one of the many positive forces that have changed the violin business in the past 15 years but it gives me great pride to see how far Tarisio has come and the effect it has had on the industry as a whole. Over the years our formula hasn’t changed much: a specialised platform, first-class expertise, a transparent approach and the connecting powers of the internet. It has been a fascinating journey. After our first sale in 1999 we planned another for the following May. 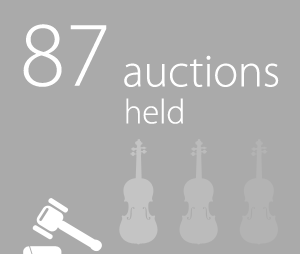 This time we had the great fortune of taking consignment of a Guadagnini violin and a Brothers Amati viola that eclipsed the previous auction record. Tarisio’s reputation grew fast, and in 2003 we were chosen to sell the historic Isaac Stern collection; the same year saw our first Stradivari violin at auction. In 2006 we opened an office in London and in 2008 we moved the New York office into the historic space which had been the long-time atelier of Jacques Francais and René Morel. In 2010 Tarisio was asked to sell the contents of the 100-year-old Philadelphia firm of William Moennig & Son, which totalled over 600 lots; later that year we sold the ‘Molitor’ Stradivari for a new world record. The following year Tarisio’s sale of the ‘Lady Blunt’ trumped this, setting a Stradivari record that made headlines around the world. In 2012 we moved our London office to Queen Anne Street and we acquired the online archive Cozio. Since 2010 we have been actively building our Private Sales department as an equal alternative to our auction sales and the past four years have seen some truly amazing instruments sold privately. This year marks another exciting move for the London office, this time to Wigmore Street, next to the Wigmore Hall. In preparation for Tarisio’s 15th anniversary we assembled some statistics and charts (see the end of this feature). 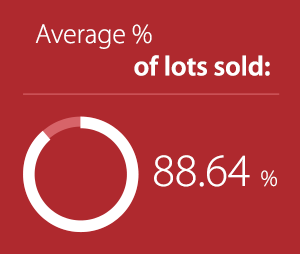 The numbers are exciting: 87 auctions, 250,000 bids, 23,700 lots sold, 470 evaluation days, 8,000 shipments across the Atlantic, 1,637 record sales, total auction sales of $171 million. But the numbers tell only a fraction of the story. The biggest part of Tarisio’s success has always been its people. In the beginning my partners Dmitry Gindin and Christopher Reuning contributed expertise and gravitas to the business, and to me personally they were generous mentors and colleagues. Since 2010 they have not been owners of the company but still remain good colleagues and friends of Tarisio. The people of Tarisio today are a diverse bunch but nearly all of them – from our head of sales to the shipping clerk – are or were musicians. I feel this gives us an empathy with the clients we serve and an increased approachability. I try to hire intelligent, outgoing, confident and friendly people who share Tarisio’s commitment to quality and professionalism. Our private sales department has been transformed by Carlos Tome and our New York auctions have blossomed under Ethan Ladd. Our New York and London offices are a buzz of activity year-round, with the London office having grown tremendously in the past few years. Both the London and the New York offices now have on-site workshops with luthiers who prepare and adjust instruments carefully prior to sale. Our photographers on both sides of the Atlantic are among the best in the business; our support staff and our technology crew are efficient and a pleasure to work with. Personally, my biggest pleasure at Tarisio is the expertise. I love learning new makers, studying instruments and being responsible for the 2,000+ attributions that Tarisio makes each year. And this is an ongoing challenge: the great beauty of expertise in most fields, violins being no exception, is that the more one learns, the more there is to know. Our approach to cataloging has always been cautious and vigilant: attributions are made at the lowest common denominator; not what one expert thinks it could be, but what will pass a jury of our peers. It helps that violin expertise and scholarship has grown tremendously in the past 20 years; today more people possess more knowledge about more makers than ever before. I feel fortunate to have so many smart and supportive colleagues worldwide. Tarisio’s first 15 years weren’t without their fair share of ideas and innovations that didn’t go according to plan. Among my favorites: our auction attempt in South Korea in 2001, our Dutch auction in 2010 and one-half of a Stradivari cello that didn’t sell in 2008. But such is the nature of innovative growth: some things work and some don’t. Through all things we try to keep the process of buying and selling violins lively and entertaining. Humor has its place, too: watch for the occasional puns and irony in our catalogs. So what’s next? In the years since Tarisio’s inception our two major competitors have stopped selling musical instruments, but a host of new arrivals has emerged. We now find ourselves incumbents in a space where we used to be rebels and with that comes a responsibility to keep up the pace of innovation. 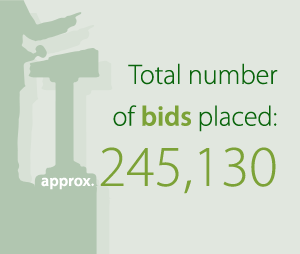 Recently we launched a bidding incentive called First In, Last Out and a new option to Buy Now. The Cozio project continues to grow, and over the next few years we plan to add new resources, new media and other tools to make the archive more useful than ever. The Cozio Carteggio will continue to bring unique voices and perspectives to our subscribers. And we look forward to using the new London office as a space for exhibitions and other events. More than ever I feel incredibly fortunate that this tiny niche pursuit of antique violins is such a vibrant, active and inspiring world. I thank you for being a part of Tarisio’s first 15 years and I look forward to an exciting future ahead. 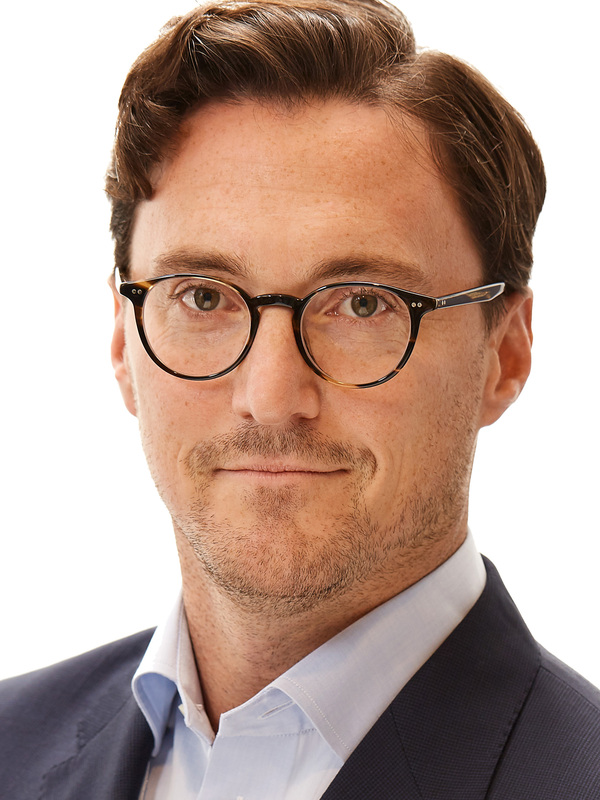 Jason Price is the co-founder and director of Tarisio and is responsible for Tarisio’s expertise in its auctions and private sales in both New York and London.